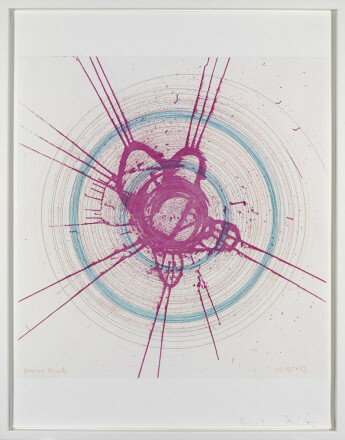 LIBERTY 2002 Damien Hirst (1965 – )	P7682 © Damien Hirst and Science Ltd. All rights reserved, DACS 2015. 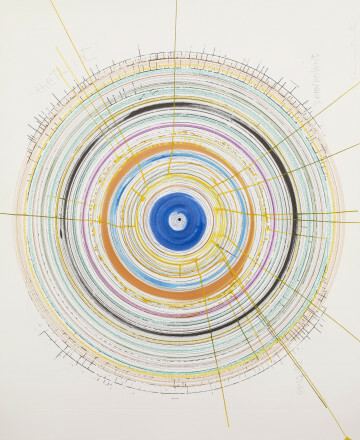 FIG 2 SAINT JOHN 2005 Damien Hirst (1965 – )	P8015 © Damien Hirst and Science Ltd. All rights reserved, DACS 2015. 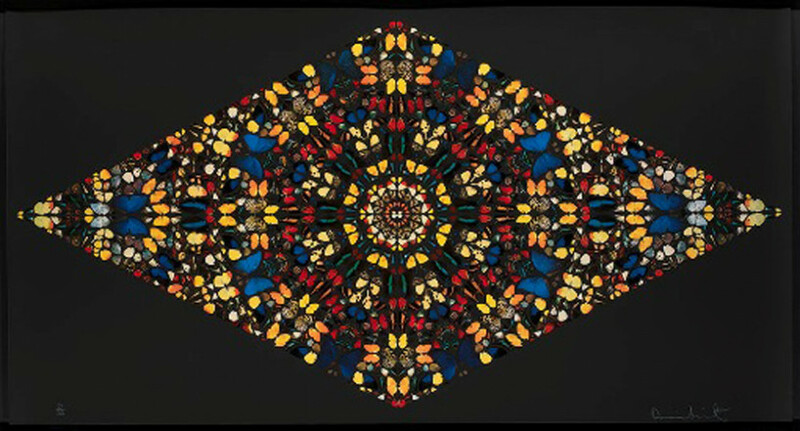 FAITHLESS 2006 Damien Hirst (1965 – )	P8049 © Damien Hirst and Science Ltd. All rights reserved, DACS 2015. 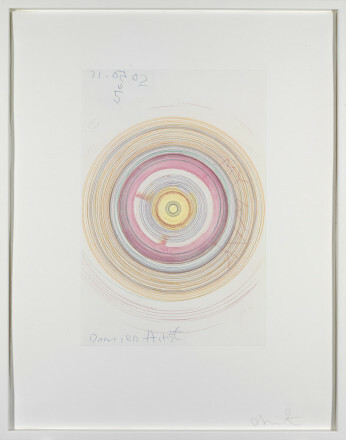 FIG 11 SAINT SIMON 2005 Damien Hirst (1965 – )	P8024 © Damien Hirst and Science Ltd. All rights reserved, DACS 2015. SPIN ME RIGHT ROUND 2002 Damien Hirst (1965 – )	P7684 © Damien Hirst and Science Ltd. All rights reserved, DACS 2015. Damien Hirst was born in Bristol. He studied at Jacob Kramer College of Art, Leeds, 1983 - 1985 and at Goldsmiths College, University of London, 1986 - 1989. He curated the now legendary exhibition Freeze in 1988 whilst still a student. Freeze was the first of a group of exhibitions organised and curated by young artists in the late 1980s and early 1990s which presented the work of a new generation of artists in museum sized spaces in disused industrial buildings in the East End of London. These exhibitions signalled a change in the artistic landscape of Britain and many of the exhibited artists went on to establish international reputations in the subsequent decade, while Hirst was to become the most famous artist of his generation and a household name. He staged his first solo exhibition, In and Out of Love, in an empty shop in the West End of London in 1991, and later that same year his first solo exhibition in a public gallery, Internal Affairs, was held at the Institute of Contemporary Arts, London, with his first solo show in New York, Pharmacy, following in 1992. A substantial showing of his work was included in the Third International Istanbul Biennial in 1992, and he was selected for the Aperto Section of the XLV Venice Biennale in 1993, where he showed Mother and Child Divided, a work consisting of a cow and calf split in two and displayed in four vitrines of formaldehyde. He curated the exhibition Some Went Mad, Some Ran Away for the Serpentine Gallery, London in 1994, and he directed a film, Hanging Around for the exhibition Spellbound: Art and Film at the Hayward Gallery, London in the spring of 1996. 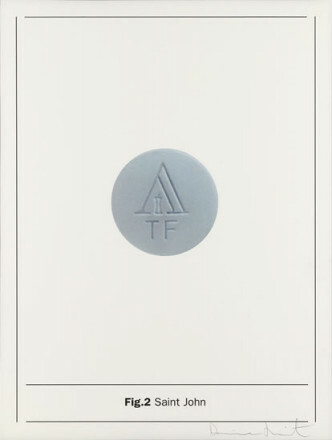 Hirst's work has been shown in many important group shows including Un Siècle de Sculpture Anglaise at the Galerie National du Jeu de Paume, Paris in 1996, Sensation: Young British Artists from the Saatchi Collection at the Royal Academy of Arts, London in 1997, and Blast to Freeze: British Art in the 20th Century at Kunstmuseum Wolfsburg in 2002 - 2003. 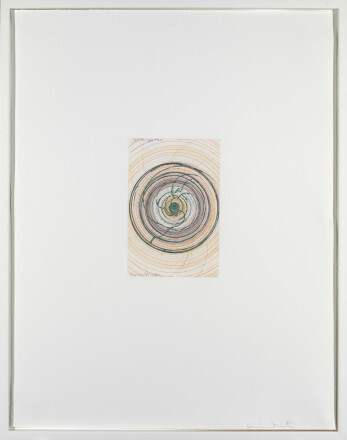 Hirst was awarded the Turner Prize at the Tate Gallery, London in 1995. 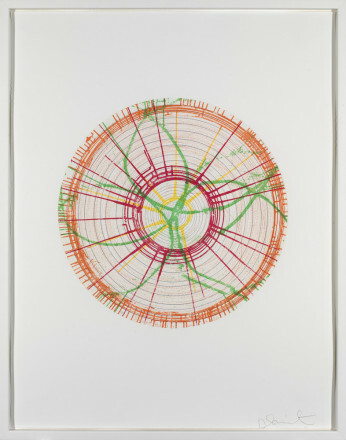 Hirst works with a wide array of materials and across numerous art forms. He tackles the big subjects of love, desire, life and death, and his titles say as much, as in his most renowned work The Physical Impossibility of Death in the Mind of Someone Living of 1991, (Saatchi Collection) which features a 12-foot tiger shark floating in a glass tank of formaldehyde. His solo exhibition of the same year, In and Out of Love, took place in two rooms, one above the other, in a disused shop in the West End of London. In the lower space, dead butterflies were embedded in the glossy paint of monochrome canvases, while upstairs the complete life cycle of exotic butterflies was acted out as they hatched from pupae, fed, bred and eventually died. Other installation works from this time include wall cabinets displaying such items as pharmaceutical products, bottles and tanks of fish and sections of animals in formaldehyde, shells, and cigarette ends as in Dead Ends Died Out Explored, 1993. 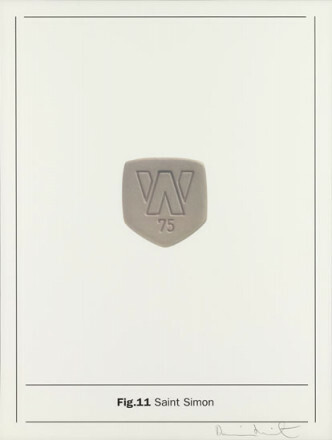 In parallel to his sculptural works he has, since 1988, worked on an unlimited series of dot paintings under the generic title The Pharmaceutical Paintings. He has referred to these as "A scientific approach to painting in a similar way to the drug companies’ scientific approach to life. Medical and pharmaceutical references feature prominently in his work, as with I'll love you forever of 1994, which incorporates a locked steel cage containing clinical and pharmaceutical waste containers. 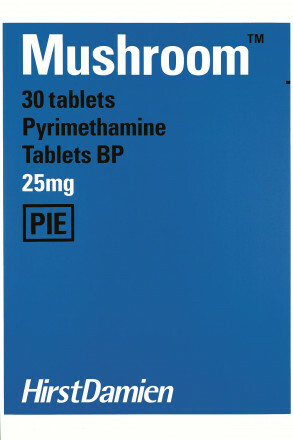 For his first major body of prints, The Last Supper, a series of 13 screenprints made in 1999, Hirst based the designs on specific pharmaceutical packets but with the original drug names replaced by everyday British café food. 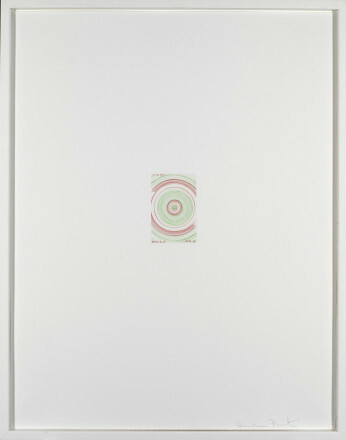 Two further series of prints followed in 2002 with the etchings, In a Spin, the Action of the world on Things, Volumes I and II, which derive from his large and on-going series of spin paintings made by pouring paint on spinning canvases.